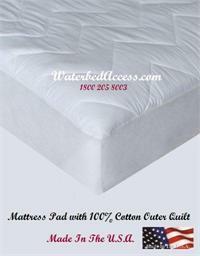 We carry a full line of sheets for waterbed mattresses and regular size beds. If you are looking for 100% cotton high-end sheets and mattress pads then you can find them right here. We also have new line of very comfortable organic pillows by Blu Sleep Products. If you have any questions feel free to email or call. 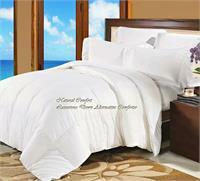 Comforter Duvet Insert Goose Down Alternative White Sateen 300Tc by Natural Comfort. Cover yourself in something super soft & luxurious. Used to be only available through luxurious hotel & resorts. Now bring that great night sleep back home & enjoy it! Ice Gel Bed Pillow Fresh & Breathable. 300 times more breathable than conventional memory foams also pillow provides adaptive contouring to the neck & perfect loaf to the head. This pillow is perfect for all types of sleepers; side, stomach, back.